The Strange Box: The children have grown up. They buy an old box but a strange man tries to take it off them. Mr Mortlock, the school caretaker, zaps the strange man and they all run through a doorway that appears on the horizon. Beyond the Door: The children are on the other side of the doorway, in the Time Vault. When Mr Mortlock comes through he transforms into Mortlock, the Time Guardian. He explains their new mission - to fight the Virans, whose aim is to destroy history as we know it. 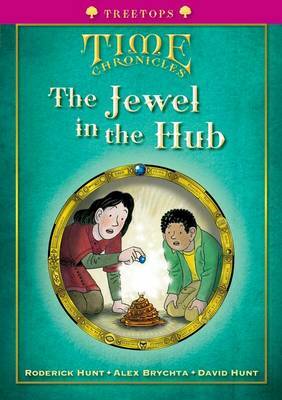 The Jewel in the Hub: Wilf goes back to Renaissance Italy and meets the young Leonardo Da Vinci. The boys discover the Hub (a part of the TimeWeb), but so do the Virans! The Matrix Mission: Neena goes back to medieval Germany and meets the young Johann Gutenberg. They have to find and retrieve the Matrix (the keyboard element of the TimeWeb). The Power of the Cell: Nadim, Kipper and Wilma go back in time to find the Cell (the 'battery' of the TimeWeb machine). They meet the young Michael Faraday and a new character, Tyler. The TimeWeb: The children and Mortlock put all the pieces of the TimeWeb together, but it doesn't work! They need the magic key.